A Salinas man accused of having an obsession with robbing Payless Shoe stores is the suspect in Sunday evening’s robbery of the chain’s Paso Robles store. 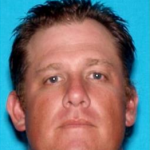 Paso Robles detectives say they spoke with detectives in Monterey County who confirmed the suspect’s description. Witnesses of Sunday’s robbery also identified Grimm as the suspect. Grimm is described as a 6 foot 1 white male who weighs 240 pounds. He has blonde hair and blue eyes and is clean-shaven. Grimm possibly drives a white 1997 Toyota Camry with the license plate number 5AJR595. Shortly before 5 p.m. Sunday, Grimm allegedly entered the Payless store in the 100 block of Niblick Road and appeared to be shopping for a few minutes. He then approached the counter, lifted up his shirt to reveal a handgun and demanded cash. Grimm fled with an undisclosed amount of cash. He reportedly drove off in a white four-door sedan. Officers request that anyone with information about Grimm contact the Paso Robles Police Department or call Crime Stoppers at 549-STOP. It’s apparent this man has no sole. He hangs out in AA. Look there. C’mon Kelly, put your best foot forward! Circumstances look “grimm” for Kelly. Now, lessee, under newly lax California crime laws, if he took under $ 900 it’s possibly not a felony, and he can be out and back to his business model promptly? Oh, and don’t forget, since the crime was under $900.00 I think they’ll need to return his gun also.